Over 300 women are to gather at Constitutional Hill this Sunday to discuss gender disparity in the film sector at the 2nd edition of the Joburg Film Festival. Taking place on Sunday, 11th November at the Constitution Hill in Braamfontein, the Joburg Film Festival will host over 300 women at a free film screening and panel discussion. The occasion is for women to engage around issues of gender inequality in the film, television and cultural landscape of South Africa. The insightful documentary film “This Changes Everything”, highlights gender disparity and inequality in Hollywood and will be screened at the event. The content of the film will be used as a launching pad to kick off discussions around South African women and their daily experiences in which women encounter and deal with gender disparity and how they are addressing this in their places of creative production. “The conversation around diversity is not a new one but because of the joint effort women across Africa and around the world have put in, it has become ‘the conversation’. Because we work in such a visible industry it’s important that they lead the conversation and keep it in the spotlight. Every movement has its time and our time is now,” confirms SWIFT Spokesperson Zoe Ramushu. The Department of Arts and Culture and The National Film and Video Foundation are key supporters of the event. “Women have been a strategic focus for the NFVF for the past couple of years. In our efforts to develop an inclusive and equitable film industry, we have dedicated programmes aimed at increasing women participation in the film industry. This Joburg Film Festival talk is particularly important because it will afford women a platform to voice their experiences while engaging in potential ways to close the glaring gender disparities. Men, in particular, should participate in this important event because finding solutions to end gender inequality is not the responsibility of women only,” Shadrack Bokaba, the Acting NFVF CEO. The festival will bring together influential women like poet Lebo Mashile, journalist Gail Smith, “Rafiki” lead actress Sheila Munyiva and SWIFT (Sisters Working in Film and Television), to lead the discussion and interact with the audience. “We live in a moment of reckoning where patriarchy is being exposed and attacked with the real possibility of creating a more equitable world for women. In this light, media, arts and entertainment play important roles as sites of visible resistance to misogyny and also as creative spaces where new realities for women can be envisioned,” states panellist Lebo Mashile. 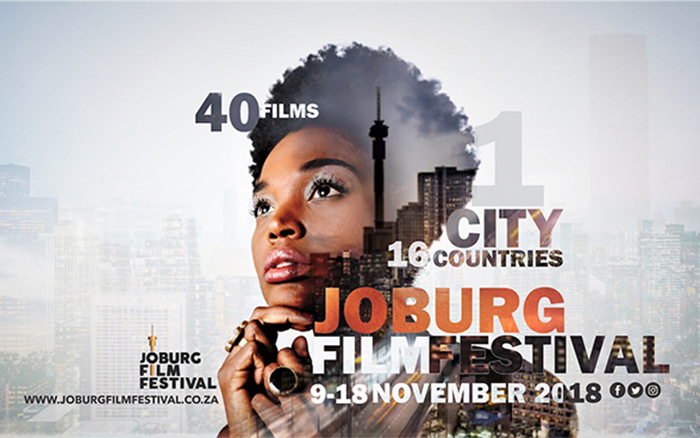 The JOBURG FILM FESTIVAL is made possible with the support from key sponsors and partners Department of Arts and Culture, the National Film and Video Foundation. 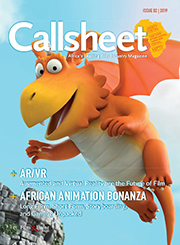 Industry Supporters include the Gauteng Tourism Authority, Gauteng Film Commission, the National Broadcast Institute, Gallery MOMO, DISCOP Africa. KayaFM and Sterkinekor are our media partners again this year. For more info about the Joburg Film Festival and the event please visit www.joburgfilmfestival.co.za and follow updates on Twitter, Instagram and Facebook @JoburgFilmFest and keep an eye out for the #JOBURGFILMFEST. *Please note that the film “Matwetwe” is not in the Joburg Film Festival 2018 line up.